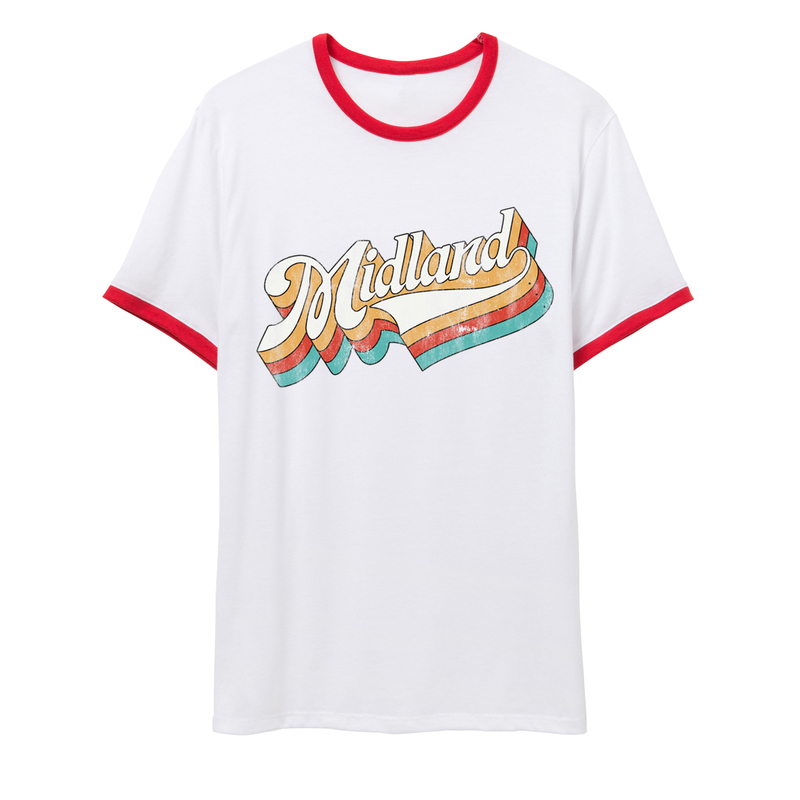 Distressed Midland logo on a ringer t-shirt. Great shirt! Awesome vintage look! Runs pretty true to size. Super nice t-shirt. Just love it. Fits perfect. Great shirt. Super soft. Runs large. Love the shirt! It's super cute with the 70's vibe and super soft. Just wish it was offered in an XS as the Small is a bit roomy. But I tied it on the side and it worked perfectly! Super cute 70s vibe. I ordered a medium and I'm sure it's a guy's size medium … but for me it's oversized and so cute. I love it! Looks and feels vintage. I only wish extra small was offered!